Last year, my husband and I added few extra days to our Generation Blue Experience to make a little time for vacay. It was our first “us” trip without our two sweet minions (see what I did there?) since our honeymoon 5 years prior. Result = a HUGE success, which leads to our now 6 day venture in the land of the rich and famous – 6 days in Hollywood and the ‘Hills, SO much to do and so little time! 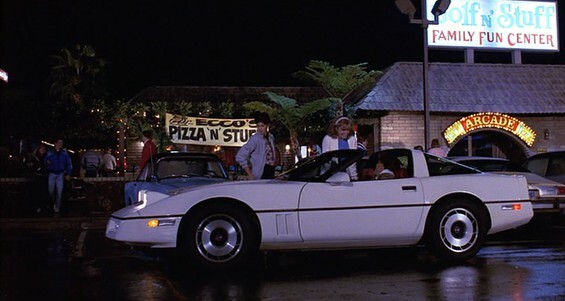 Our “itinerary” last year was inspired by some of our favorite flicks that took place around the Big Apple, so to keep the merriment going, we’ve revisited some of our favorite films that were filmed in (or around) Tinseltown to inspire us to make a few pit stops while we’re west coast bound. Who hasn’t wished they could’ve tagged along on Daniel and Ali’s first date full of go karts, bumper boats, arcade games galore with a little hand holding in the photo booth? Ok, maybe not tag along, but definitely have your inner kid just dying to go there for yourself. Yeah, that’s me. Golf n’ Stuff is actually family fun park that’s still around today – and it’s on our hit list. I couldn’t tell you how many years growing up I asked for a “hover board” for Christmas or just *wished* I could find the ultimate prom/homecoming dress to resemble Lorraine’s iconic attire from Back to the Future’s (I & II) “Enchantment Under the Sea” Dance. This trilogy has been (and probably forever will be) in my top 3 all-time favs, which is why getting a glimpse of Methodist Church of Hollywood (where the dance was held in the gym) on Franklin Ave, as well as checking out the McFly Residence in “Lyon Estates” is on list of places to pass by. Some like to travel for the sights, I like to travel for the food. In this case, the combination between the two is epic – as in the sunrise scene of Iron Man 2 where Nick Fury finds Tony Stark/Iron Man/Robert Downey Jr after this birthday bash lounging – literally – in the donut of the famous Randy’s Donuts. Although this is no fancy cuisine, who can turn down a hot, fresh glazed donut and a good ol’ cup of joe? Julia Robert’s character was sent out enjoy the ultimate shopping spree – with or without a personal shopper – along Beverly Hill’s Rodeo Drive. Here you’ll find the most desirable window shopping as well as do some heavy plastic dropping at some of the world’s most exclusive designers such as Jimmy Choo, Louis Vuitton, Gucci, Burberry, Fendi, Prada, Roberto Cavalli, Giorgio Armani, Etro, Tiffany & Co, Chanel and Cartier. H. O. L. L. Y. W. O. O. D. The most iconic symbol of Hollywood is the Hollywood sign itself. One can arguably say that when you think of Hollywood, THE sign is the very first thing to populate your thought process – which is no surprise as to why it is on the list of things you must see. Although there is an overabundance of flicks to choose from that frame up this site, one in particular tops off the others – where Justin Timberlake and Mila Kunis hike up to the top of the sign and climb into one of the “O’s”, where LAPD shows up demanding them to jump down. Frozen in fear, Timberlake can’t jump, and is forcefully removed from the sign via helicopter. Hilarousness. This is going to be a stretch… although Draft Day was NOT filmed at the Rose Bowl (nor has a Rose Bowl reference, for that matter), I’m doing a throwback to some personal family ties. My brother, John Hall, was the place kicker for the Wisconsin Badgers (ON WISCONSIN!) 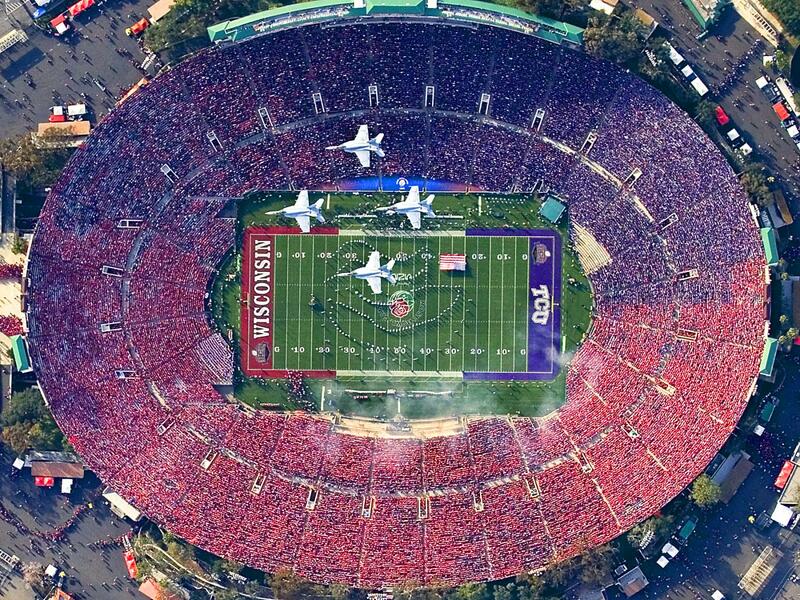 during the 80th Rose Bowl Game on January 1, 1994 where the Wisconsin Badgers defeated the UCLA Bruins 21-16. Draft Day features the Badgers and hubby and I have tix to watch the Bruins take on Utah Saturday, October 04, 2014 at 7:30pm. Lifelong mission to see the famous Rose Bowl in person: fulfilled. “There’s always money in the banana stand…” the famous words of George Bluth in one of the must underrated comedy series of all time, in the life of the Houseman household. Featured along the beautiful boardwalk of the Balboa Pier, this is one of many places to visit for some beautiful views and a chance to dip your toes in the Pacific. You may also want to check out the Santa Monica Pier, Venice Boardwalk and Malibu. Lights, camera, action! How many famous faces have visited this venue? Hundreds, thousands… probably way too many to count. 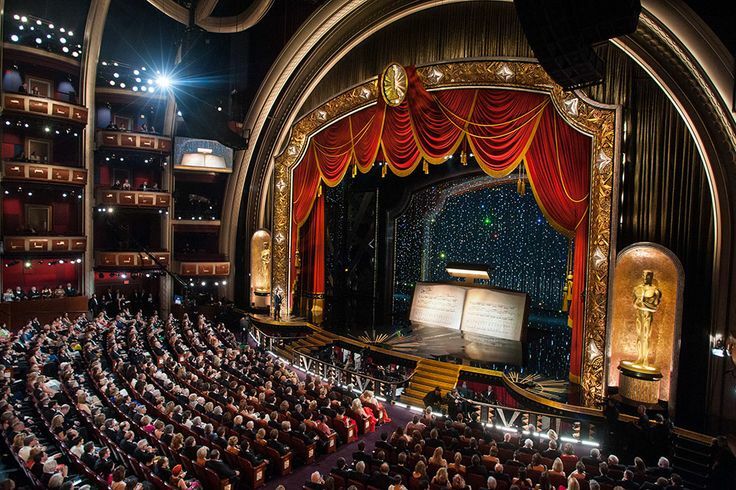 And who will be sitting amongst the seats of the stars? YOU!! Our opening session which will be jam packed with some incredible speakers and lead by someone super famous (see “must do” number #10) and will be another event in the book, right behind American Idol and the Academy Awards. “Selfies” are totally the thing right now, especially after Ellen Degeneres walked into the crowd to take one the most epic selfies with some Hollywood stars ever taken with a few faces such as Jennifer Lawerence, Bradley Cooper, Julia Roberts, Brad Pitt, Angelina Jolie, Channing Tatum, Meryl Streep, Jared Leto and Kevin Spacey. 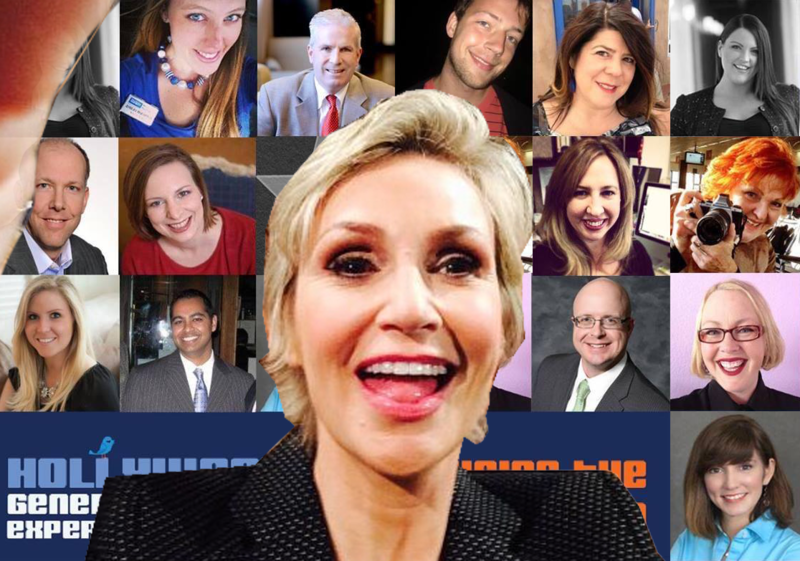 Although the Social Squad hasn’t quite hit “A List” status, I like to think that they’re a pretty stellar group – which is why I went ahead and created the ultimate Gen Blue selfie with Jane Lynch (host of Hollywood Game Night & Fox’s GLEE Star) just in case we don’t all fit into the picture. “It’s so FLUFFFFFFFFFFFFFFFFY!” I think I spit out my soda when I heard this in theaters since it was so stinkin’ cute! This animated feature is fun for kids of all ages (yes, that’s adults too) and is loaded with these adorable yellow beings called “minions.” Minions are the mastermind behind everything that is genius, and hilarious, in this movie and is also a ride at Universal Studios – in which you will have the opportunity to experience since this will be the location of our CLOSING PARTAAAAAY! That’s right, last year we were livin’ it up in the American History Museum, this year we’re closing down an entire theme park – just because you bleed blue and are a part of the Generation Blue Experience! I couldn’t imagine being a part of any other brand other than Coldwell Banker, not only because they know how to put together one incredible lineup of speakers to help us to grow our business, but they sure now how to throw one heck of a party for its brand. Can’t wait to see everyone this week at #GenBlue! !